OneNote is like the forgotten step-child of Microsoft Office. It’s rarely mentioned alongside Word, Excel, and PowerPoint as one of the core applications of Office, yet it’s very popular, and available across a range of platforms the rest of Office only dreams of. Today, Microsoft is rolling out new iPhone, iPad, and Android apps, and enhancing the capabilities of OneNote to deliver a more consistent, and powerful platform for business users. The Microsoft Office suite is available for both Windows and Mac OS X, but Office 2011 for Mac lacks OneNote—leaving Mac users to use the OneNote Web App version. Although OneNote isn’t yet available natively for Mac OS X, Microsoft does provide OneNote apps for Windows Phone, iOS (both iPhone and iPad), and Android, as well as a version that works in the Windows 8 Metro interface. Today’s update makes the cross-platform functionality more reliable and consistent. 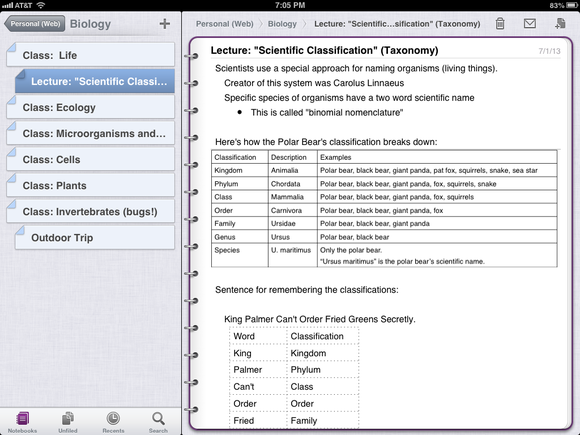 The various OneNote applications have been re-architected for more reliable syncing. The retooling will also make it easier for Microsoft to update the apps in the future—part of that “rapid release” mantra Ballmer was preaching last week at Microsoft’s BUILD developer conference.I’ve been a fan of OneNote for some time, but I did abandon it for a while after getting frustrated that changes I made on one device were not being reflected elsewhere. The syncing often seemed to be broken. The value of having OneNote available on disparate operating systems and devices is greatly diminished when the data doesn’t sync up properly, or when OneNote looks and acts differently from one device to the next. AFTER: This is the same note with rich formatting in the new iOS app. 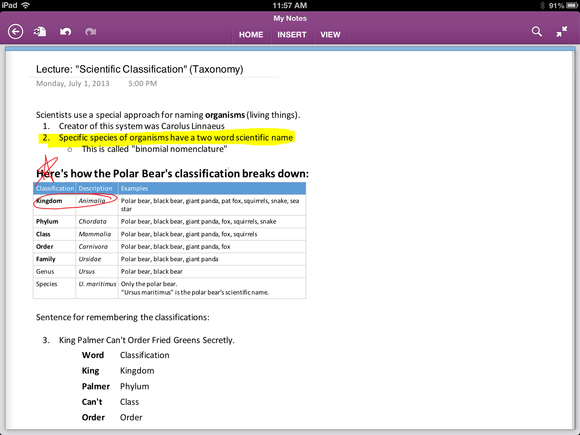 Even better, OneNote now allows for collaboration in real-time. You can work with peers, customers, vendors, or others in the same note at the same time. Everyone can see everyone else’s changes in real-time so you can use OneNote as a brainstorming and organizational tool with a group. The updated apps are available today in the United States and select international markets. If you’re outside of the US, check your Apple App Store or Google Play to find out if you get to take advantage of the new and improved OneNote.